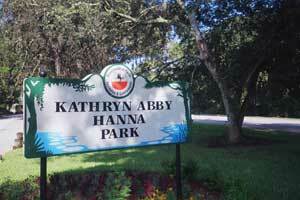 When thinking of Jacksonville, you may think of the NFL Jacksonville Jaguar’s, or the pretty river walk, but you have probably never heard of Kathryn Abbey Hanna Park. This city park consists of 450 acres of forest, trails, a fresh water lake and a gorgeous beach. Who is Kathryn Abbey Hanna? Born in Chicago on November 5, 1895, Kathryn had served on the board of Parks and Historical Places. While she is remembered primarily as an educator and author of significant historical works, such as “Florida Golden Sands,” she is recalled today by friends in Jacksonville as a warm, sincere, outspoken woman who was a superb hostess with a great sense of humor. In the 1940’s investor and millionaire Winthrop Bancroft, donated five acres of beachfront property to the city of Jacksonville for the purpose of becoming the nucleus of Hanna Park. He stipulated upon the contribution that the park be named after Kathryn Abby Hanna. Newspapers throughout Florida eulogized Kathryn when she died in Winter Park in 1967. 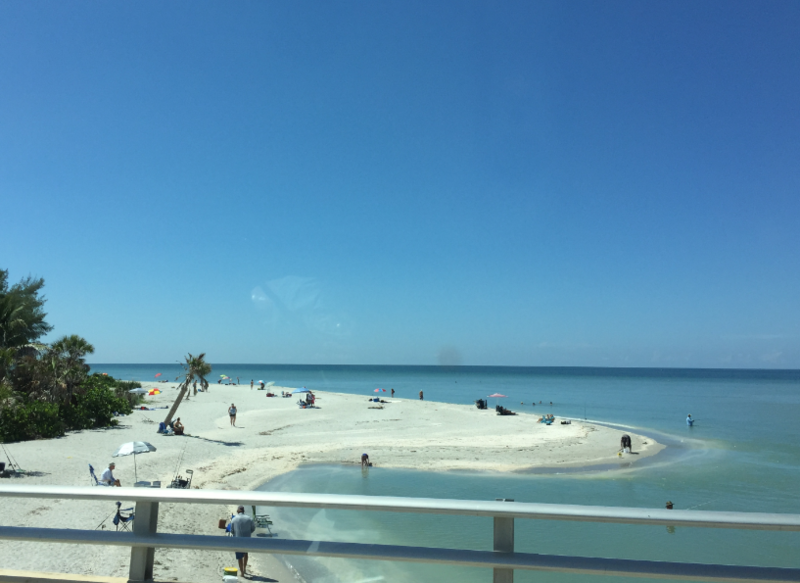 There is plenty to do at the park, including off road biking trails, walking and hiking, fresh water and salt water fishing, play grounds, and clean beaches where you can swim and surf in the ocean. The off road biking is superb, consisting of 5 miles of well-groomed single-track trails. After your workout, you can clean your ride at the park’s bike cleaning station, and jump into the ocean for a cooling swim. The walking and hiking trails are separate from the bike trails so hikers have the opportunity to see some of the splendid nature that surrounds the beach, without colliding with bikers. Birdwatchers are catered to as well, with one trail designated just for bird watching. If you’re not much of a fisherman, you can sit back and observe as people cast lines in the fresh water lake. 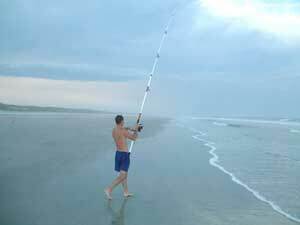 The more ambitious fishermen cast for bigger game in the ocean. Your children will never get bored with the activities available at Kathryn Abbey Hanna Park. When they’re not swimming in the ocean, or building sand castles, they can swing, slide or climb forts in the playgrounds adjacent to the beach. The park is accessible to all, the young and old, handicapped and special needs, young children, young adventurous adults, and even older people who love to fish, walk and hike. You might enjoy camping in one of the 250 campsites. The park takes both tent campers and recreational vehicles. The park also has climate-controlled cabins for the not so adventurous. Nearby is a Comfort Inn if you would like to stay in a hotel. I suggest Singleton’s Seafood Shack for eats. They offer very fresh seafood, right off the boat. Singleton’s is located off A1A at Mayport (1 block from the Ferry). Their phone number is 904-246-4442. 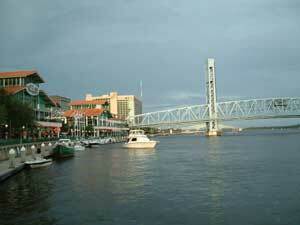 A visit to the old section of downtown Jacksonville is a must if time permits. Its here you can experience the nostalgia of the magnificent historic Victorian homes that remain. Have dinner at the reasonably priced restaurant, Stella’s, 1521 Margaret Street, Jacksonville; 904-353-2900. In addition to Kathryn Abbey Hanna Park, there are other diverse parks to visit nearby in the bustling city of Jacksonville. If you have five days, you can visit several of these parks. Huguenot Memorial Park is only a few miles north of Kathryn Abbey Hanna Park. Take the ferry from Mayport, across the mouth of the St. John’s River. Kingsley Plantation, an historic civil war park is another great place to visit. 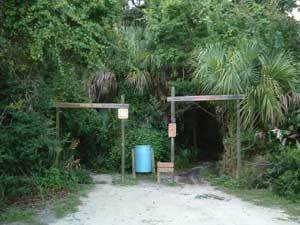 Also north of Kathryn Abbey Hanna Park is Little Talbot State Park, an unspoiled island abounding with nature. 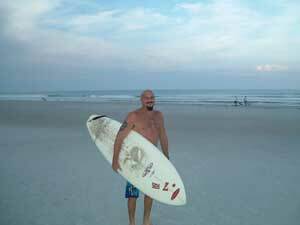 Travel down A1A to Guana State Park, a great place to surf and revel in the rarity of the secluded beaches. If you go west from Kathryn Abbey Hanna Park, about 10 miles, you will find yourself in the major metropolitan city of Jacksonville. Take some time to explore the river walk area and some of downtown. The city is clean and quiet after business hours. Within a few miles around the perimeter of downtown Jacksonville are numerous attractions, such as the Florida Theater, Performing Arts Center, Alltel Stadium (where the NFL team plays), and in the south is Metropolitan Park and Alexander Brest Planetarium. Prices to visit Kathryn Abbey Hanna Park are extremely affordable. Entrance to the park is $1 per person for those 6 years or older. Tent camping is $13.56 per night; RV camping is $18.08 per night. They offer a 10 % discount for AARP, disabled, senior citizens, active duty military, and Florida Campers Association members. Cozy Cabins are $33.90 a night and sleep 4. Halls and shelters are available for rental too if you have a large group. Getting to Kathryn Abbey Hanna Park is easy by car, but you should bring a bit of patience, since the main highway, I-95, can have be traffic packed. Take I-95 to SOUTHSIDE BLVD./SR-115 exit, exit #340, Continue on SOUTHSIDE BLVD; turn Right on ATLANTIC BLVD; continue towards MAYPORT NAVAL STATION; continue on ATLANTIC BLVD; turn Left on FLORIDA BLVD/SR-A1A; continue on MAYPORT RD/SR-A1A; turn Right on PIONEER DR; bear Left on SHERRY DR N; turn Right on WONDERWOOD DR. The exact address is 500 Wonderwood Drive, Jacksonville, FL 32233. Kathryn Abbey Hanna Park is great for all, with activities galore, some unique places to eat, easy access to other attractions, and a price that is right. If you have any questions, please contact the park. I hope you enjoy this park as much as I did. If you visit, I would appreciate obtaining feedback on your experience. Get More Information on This Adventure!!! 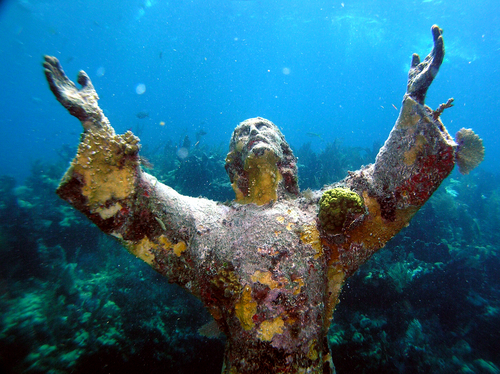 Experience adventures like the one found in this article and others by using TropicalAdventure.com Vacation Planner. Simply fill out our Vacation Planner form and you will receive FREE information about this activity and others that you may be interested in. Click below to sign up.